Poland leads off the competition with a Group A match v. Greece on June 8th. By the way, they drag out this draw as long as they can to hear themselves talk... killing me here. The online system told us who was picked a good 10 seconds before the "live" draw which doesn't help rumors that these things are fixed... So, what do you think of the draw? Any favorites? Personally, Russia lucked out, I think. Group B and C are pretty tough. Germany v Netherlands will be a good one. Spain, is obviously the heavyweight in C. England gets the usual matchup v. France in Group D. This should be another great tourney. Can't wait. Well, I guess we were wrong and Ajax is going with nuclear option #3. 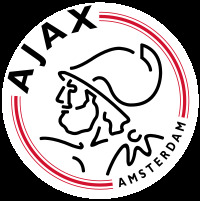 In a move to end the bickering and feuding that has gone on at Ajax in recent years between Ajax board members and former player legends, Ajax's governing council has asked all 5 board members, including Cruyff, to resign. Any board member that refuses to resign will be voted out, most likely, by shareholders. A resignation by Cruyff would keep him on mostly in a ceremonial role, with his youth program remaining and him making appearances for the club. While this doesn't bode well for most of the board members, it is incumbent on the governing council to get fans/shareholders to actually vote out living legend Cruyff as well. Should Cruyff stay on, his sour relationship with new coach Van Gaal will only get worse, and become a festering problem for Ajax and future growth of the club. Maybe Chelsea wanted to focus on CL play, because this game they never seemed to get into. Andy Carroll misses an early pk, but Rodriguez and Kelly score within 5 minutes of each other in the 2nd half to down Chelsea at home. A beautiful late give and go goal by Aguero spells the end of Arsenal's chances for some silverware this season. But, you Gunners didn't want a worthless trophy anyways, now did you? Apparently, Arsenal really don't want any silverware this year. Case in point? They drew at home with Fulham. And because they were so afraid that they might get the full 3pts, Vermaelen got the high sign from Arsene to spot them an early own goal. Wow. Just can't believe how this team has sunk. Despite dominating possession and shots, Liverpool had to rely on a Lescott own goal to gift them the point. An early WBA goal was the only thing that West Brom got right. Adebayor had a a penalty denied but followed up the rebound for a goal. Ade scored again in stoppage after Defoe put Spurs up 2-1 late in the game. On paper, Man U should have had this. On paper, Man U dominated shots, shots on goal, possession, and set pieces. Newcastle is thankful that things don't play out on paper. Demba Ba scores again, as Newcastle walks away with a point. 85 Caps, and current coach of the Welsh NT only belie the fact that at 42, Gary Speed had more to accomplish in life. Notching 103 goals in 677 matches for club, and another 7 in 85 during NT duty, Gary is survived by his wife and 2 sons. If you were checking here to see if American Samoa won last night, you are going to be feeling a little disappointed. Despite a 1 on 1 chance for American Samoa's Diamond Ott, the resulting shot clanked off the crossbar and away from danger. It only got worse for American Samoa. In the 90th minute, Samoa's Silao Malo converted on the counter attack (Samoa only needed to draw to progress based on goal differential), and put away a last second goal. The goal stood as the only one of the match, and put Samoa through to the next round while American Samoa's dream chance came to a crashing halt. Despite playing for first, American Samoa ended up 3rd in the group as earlier in the day, Tonga won their match with Cook Islands, 2-1, and moved into 2nd place because of the goals for rule (if record and goal differential are tied, goals for is the next tie breaker according to FIFA). All is not lost for American Samoa. They did hold Samoa scoreless for 90' after having lost to them by much greater margins in the past. Ia manuia!